Oxford University Press, USA, 9780190864651, 280pp. By early 1943, it had become increasingly clear that the Allies would win the Second World War. Around the same time, it also became increasingly clear to many Christian intellectuals on both sides of the Atlantic that the soon-to-be-victorious nations were not culturally or morally prepared for their success. A war won by technological superiority merely laid the groundwork for a post-war society governed by technocrats. These Christian intellectuals-Jacques Maritain, T. S. Eliot, C. S. Lewis, W. H. Auden, and Simone Weil, among others-sought both to articulate a sober and reflective critique of their own culture and to outline a plan for the moral and spiritual regeneration of their countries in the post-war world. In this book, Alan Jacobs explores the poems, novels, essays, reviews, and lectures of these five central figures, in which they presented, with great imaginative energy and force, pictures of the very different paths now set before the Western democracies. Working mostly separately and in ignorance of one another's ideas, the five developed a strikingly consistent argument that the only means by which democratic societies could be prepared for their world-wide economic and political dominance was through a renewal of education that was grounded in a Christian understanding of the power and limitations of human beings. 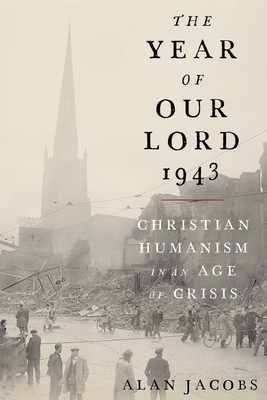 The Year of Our Lord 1943 is the first book to weave together the ideas of these five intellectuals and shows why, in a time of unprecedented total war, they all thought it vital to restore Christianity to a leading role in the renewal of the Western democracies. Alan Jacobs is Distinguished Professor of the Humanities in the Honors Program at Baylor University. His most recent books are The Book of Common Prayer: A Biography and a critical edition of W. H. Auden's long poem For the Time Being: A Christmas Oratorio.